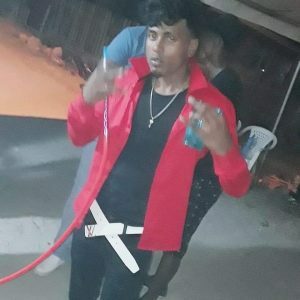 Twenty-one-year-old Brian Basdeo, an auto body technician of Grass Field, Lusignan, East Coast Demerara, met his demise on Saturday evening following a hit-and-run accident on the Linden- Soesdyke Highway. Based on information reaching Guyana Times, the young man travelled to the Highway to tow another car to his home to get it repaired. The car with the mechanical issue was being towed by another car driven by a friend of the now deceased man. As they moved off, the car that was being towed and steered by Basdeo started to make a loud noise. their vehicles to make checks. Another car then pulled up to render assistance and in doing so, they saw another car approaching them at a fast rate. 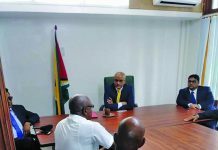 This publication understands that the man who stopped to offer assistance shouted for Basdeo and the other man to move out of the way as he ran to safety. 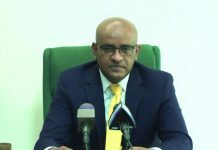 Basdeo was reportedly stooping down to conduct checks on the vehicle when he was struck and tossed several feet into the air. He landed onto the roadway and died almost immediately. His friend who attempted to run was also struck by the speeding car, which did not stop to render assistance. He was rushed to the Georgetown Public Hospital, where he was examined and it was discovered that his left leg was broken in several places. He was treated and sent away while Basdeo was pronounced dead on arrival at the Diamond hospital. 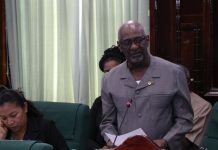 When contacted, Sherry Basdeo, sister of the now dead man, told this newspaper that she lives in Berbice and received the news of her brother’s death late Saturday evening and would have travelled down on Sunday morning. She explained that she spoke to her brother’s friend who was injured in the accident as well as the wife and they both have related different stories as to what occurred on Saturday evening. 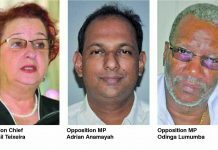 She told Guyana Times that she was expecting to get a report from the Police as to what exactly transpired. “All I can say at this time, everything that they told me doesn’t add up … the position my brother was found did not look as if he was struck down and killed… It more look like when he was pinned … at the scene, there were no parts belonging to the vehicle that hit him down… and there were no blood on the roadway… I don’t know what is happening, but all I can say it that something is missing…,” the sister added.